ST. PETERSBURG, Russia, July 3, 2012 (ENS) – The World Heritage Committee has inscribed five new natural sites on UNESCO’s World Heritage List, including Chad’s first World Heritage property. A marine site belonging to the Pacific island nation of Palau was listed for its cultural and natural importance. 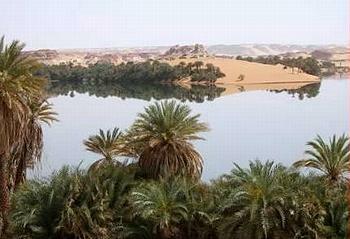 Chad’s Lakes of Ounianga and the Chengjiang Fossil Site in China have been inscribed on the World Heritage List. Russia’s Lena Pillars Nature Park and the Western Ghats in India also were added to the prestigious list by the committee, a 21-nation panel. These new World Heritage sites were inscribed in addition to the Sangha Trinational Protected Area, shared among Cameroon, the Central African Republic and the Republic of Congo, which ENS covered in a separate report. The Lakes of Ounianga site in Chad includes 18 interconnected lakes. These rare permanent lakes in a desert stretch across 62,808 hectares of the Sahara Desert’s hyper-arid Ennedi region. “It constitutes an exceptional natural landscape of great beauty with striking colors and shapes,” said the committee in its declaration. Relics of a single, much larger lake that filled the basin less than 10,000 years ago, the 18 saline, hyper-saline and freshwater lakes are supplied by groundwater and are found in two groups 40 kilometers (25 miles) apart. The Ounianga Kebir group includes four lakes, the largest of which, Yoan, covers an area of 358 hectares and is 27 meters deep. Its highly saline waters sustain only algae and microorganisms. The second group, Ounianga Serir, takes in 14 lakes separated by sand dunes and half covered by floating reeds, which reduce evaporation. With their high quality fresh water, some of these lakes are inhabited by fish. At 436 hectares, Lake Teli has the largest surface area in this group but is less than 10 meters deep. The official World Heritage advisory body on nature, the International Union for the Conservation of Nature, IUCN, presented its evaluations of nine sites to the World Heritage Committee. One site recommended favorably was the Lakes of Ounianga. The IUCN also recommended World Heritage status for the Chengjiang Fossil Site in China, advice that the committee adopted. 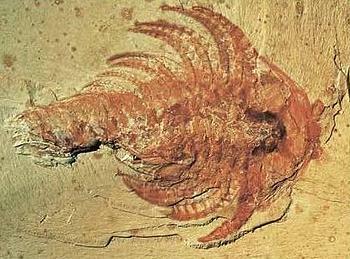 The rocks of the Chengjiang Fossil Site, near the city of Kunming in Cina’s Yuann province are evidence of the rapid appearance and diversification of species and evolutionary development known as the Cambrian explosion. This proliferation of life took place over 530 million years ago, when almost all of today’s major animal groups emerged. The exceptional remains of species recorded at Chengjiang are key to understanding the early evolution of life on Earth. “The inscription of the Chengjiang Fossil Site on the World Heritage List recognizes this iconic site, which provides direct evidence of the origin of animal diversity,” said Tim Badman, director of IUCN’s World Heritage Programme. The hilly 512-hectare site offers the most complete record of an early Cambrian marine community with exceptionally preserved biota, displaying the anatomy of hard and soft tissues in a very wide variety of organisms, invertebrate and vertebrate. They record the early establishment of a complex marine ecosystem. The site documents at least 16 phyla and a variety of enigmatic groups as well as about 196 species, testifiying to the rapid diversification of life on Earth 530 million years ago. “It opens a palaeobiological window of great significance to scholarship,” said the committee. Russia’s new World Heritage site, Lena Pillars Nature Park, is distinguished by spectacular natural rock formations along the Lena River in far eastern Siberia. The pillars are 150-300 meters (490-985 feet) high, and were formed in some of the Cambrian era sea-basins. The site is inhabited by rare plants and animals, including the Siberian musk deer, the Red deer, the Siberian chipmunk, and 99 species of nesting birds. 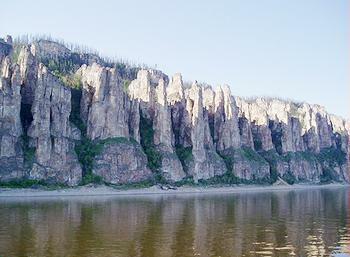 Located in the central part of the Sakha, or Yakutia, Republic, Lena Pillars is an area with an extreme continental climate. The annual temperature range swings almost 100 degrees Celsius, from around -60° C in winter to +40° C in summer. In India, a series of protected areas across the mountain chain of the Western Ghats was granted World Heritage status after a persistent campaign by the Indian government. 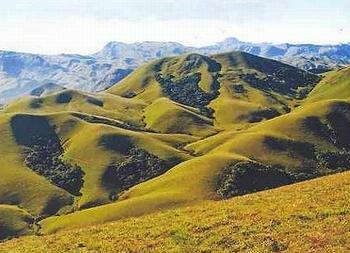 The site’s high montane forest ecosystems influence the Indian monsoon weather pattern. “Moderating the tropical climate of the region, it presents one of the best examples of the monsoon system in the planet,” said the committee. With mountains, rainforests, rivers and waterfalls, the site has an exceptionally high level of biological diversity and shelters species found nowhere else on Earth. The forests of the Western Ghats are inhabited at least 325 globally threatened plant, animals, bird, amphibian, reptile and fish species, including endemic lion-tailed macaques, Asian elephants and tigers, all classified as Endangered on the IUCN’s Red List of Threatened Species. Nevertheless, the IUCN did not recommend the Western Ghats and Lena Pillars as World Heritage Sites. “The Western Ghats and Lena Pillars are certainly regions that hold spectacular natural values, but IUCN’s evaluations considered that more work was needed on these nominations to meet the standards the Convention has set in its Operational Guidelines,” said Badman. “We welcome these sites to the World Heritage List, but note the conservation challenges that they face will need additional monitoring by the World Heritage Committee to ensure that these sites meet the requirements that accompany listing as flagships for global conservation,” he said. Earlier this week Palau became the first Small Island Developing State to have a site inscribed on the World Heritage List. 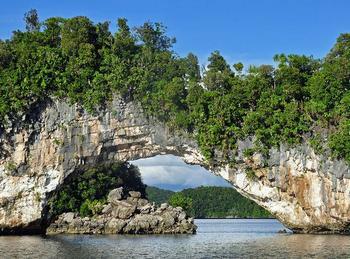 The exceptional marine site of Rock Islands Southern Lagoon became Palau’s first, following the IUCN’s recommendation. This status for the Rock Island Southern Lagoon was initially requested by the Koror State Traditional Leaders back in 2006. Palau nominated the 100,200 hectare marine site to the World Heritage list due to its cultural and natural importance. The Rock Islands Southern Lagoon is recognized for its exceptional ecological diversity, coral reefs, lagoon and limestone islands and marine lakes. As a result of their isolation from each other, all 52 marine lakes on the site are a diversity of different marine ecosystems. Inscription on the World Heritage list means Palau now will be eligible for technical support and financial assistance and will become a more alluring destination for visitors interested in World Heritage Sites. The UNESCO World Heritage List now includes 217 natural and mixed natural and cultural sites.